The wait is over: the Activity & Video Tiles are here! We are thrilled to announce that our Activity and Video Tiles are finally available to Jive and Lithium JX customers! As you may know, back in August we asked the AureaWorks community what new tiles they would like to see us add to our collection of Tiles by Social Edge. We received really great suggestions and feedback from the community. We took the most requested tile ideas and had our clients and the AureaWorks community vote on the tile they wanted most. When we got the results back, we saw there were two clear winners: Activity and Video. Instead of just building one of the tiles, we decided to build both as a thank you to everyone who participated. After months in development and testing, both tiles are finally here and we are so excited to finally be able to show them off! Activity feeds are the bedrock of Jive communities. Our new customizable Activity Tile dynamically pulls activity streams onto a home page or any space, group or project page. Display activity streams for the entire community, a specific place or places, or a person. Display and organize multiple activity streams on a page by using custom tabs. 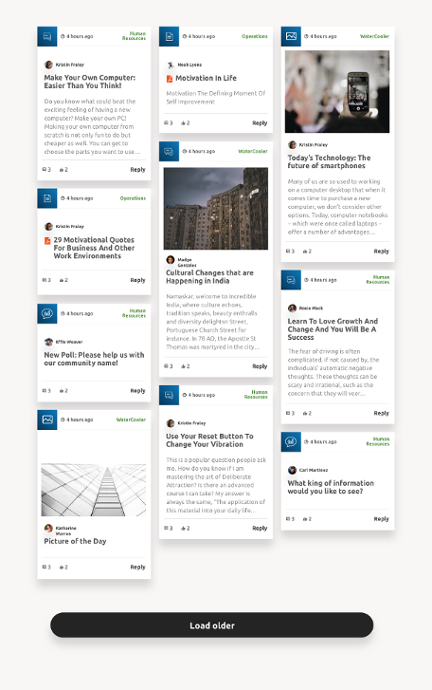 Unlike Jive's out-of-the-box Super List, you can interact within the tile (comment, like, share) instead of having to click on a content item and navigate to the new page in order to respond. Additional configuration options allow you to decide what types of content to display, enabling you to create an Activity Tile that displays all recent content or specific types of content, such as discussions or documents. Feature a gallery of videos on any page with a featured video, or feature just one video. Curate individual videos and override the default video thumbnail image with another image. Pick a place and automatically allow videos to appear in the tile based on most recently uploaded. Videos can also be from external sources, including YouTube and Vimeo. Thank you again to everyone who participated in the discussions and voted on the new tiles. We hope you love these new tiles as much as we do and look forward to hearing what you think! 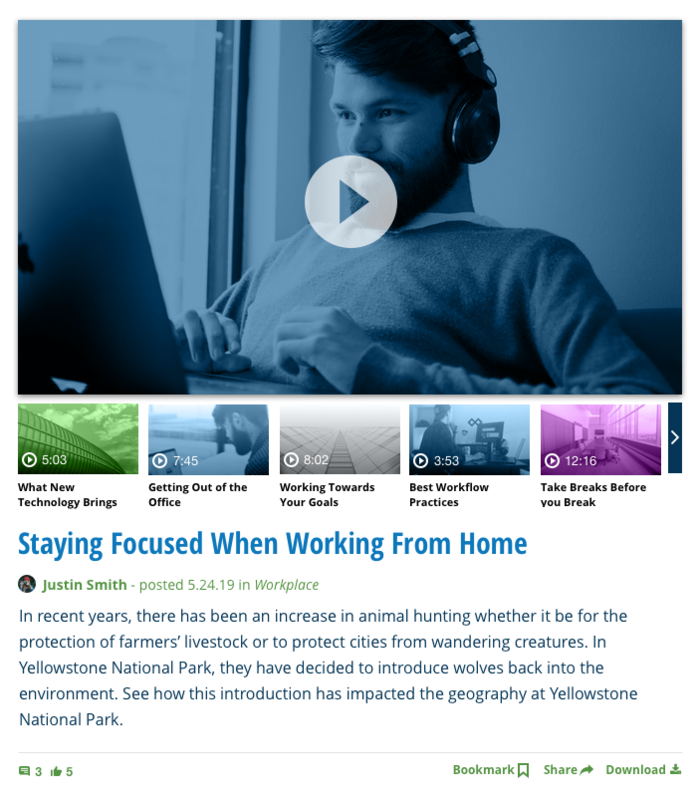 Blog Tile enhancements are here! Celebrate #CMAD in style... with a free tile! What should our 10th Tile by Social Edge be? Vote now! GDPR is coming. Is your community ready? Celebrate #CMAD in style. 20% off Tiles by Social Edge!